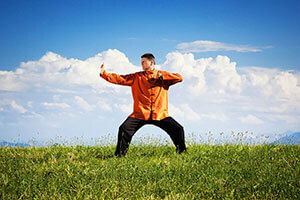 Chi Gong is a form of moving meditation invented in China thousands of years ago. “Chi” is the life force; “gong” means “to cultivate.” The purpose of cultivating our chi is to calm the mind, balance the energies of the body, and encourage the free flow of the life force. The gentle, simple movements of Chi Gong strengthen the body, encourage relaxation, and help the practitioner to achieve a sense of calm. I offer both group and individual instruction in Chi Gong at reSource Wellness.